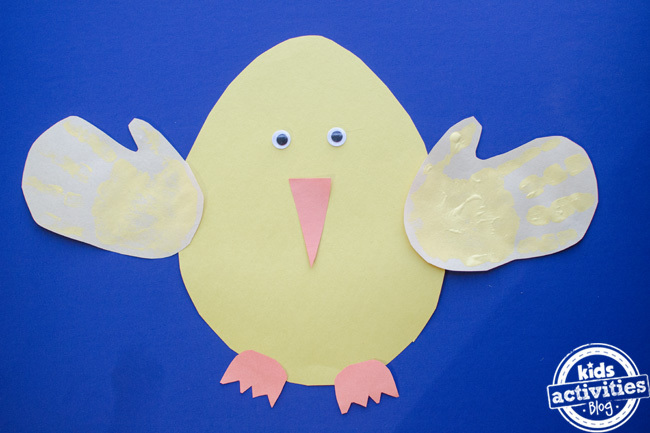 I love this super adorable Preschool Easter Chick Craft! 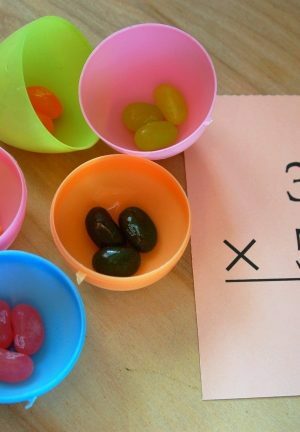 It’s so simple and easy to make and makes the perfect kids spring craft. 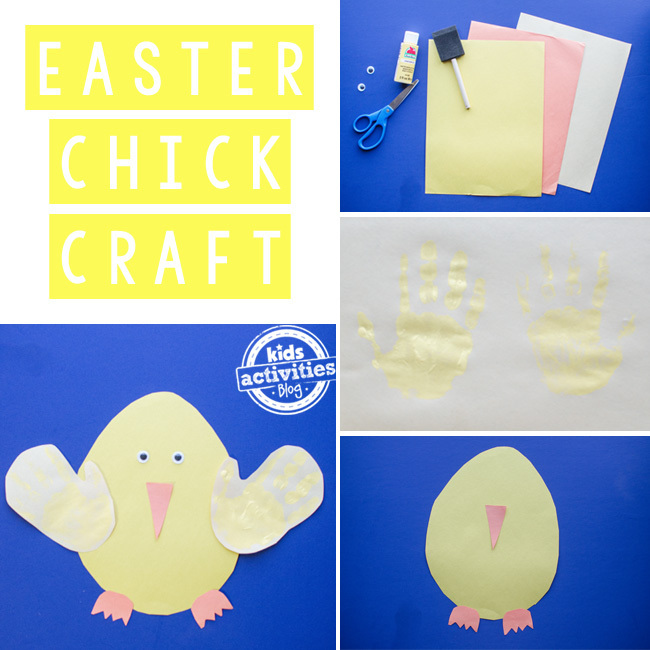 As a mom, I love this Easter kids craft because it also makes a wonderful keepsake of my kid’s handprint that I can keep as a memory when she was little. 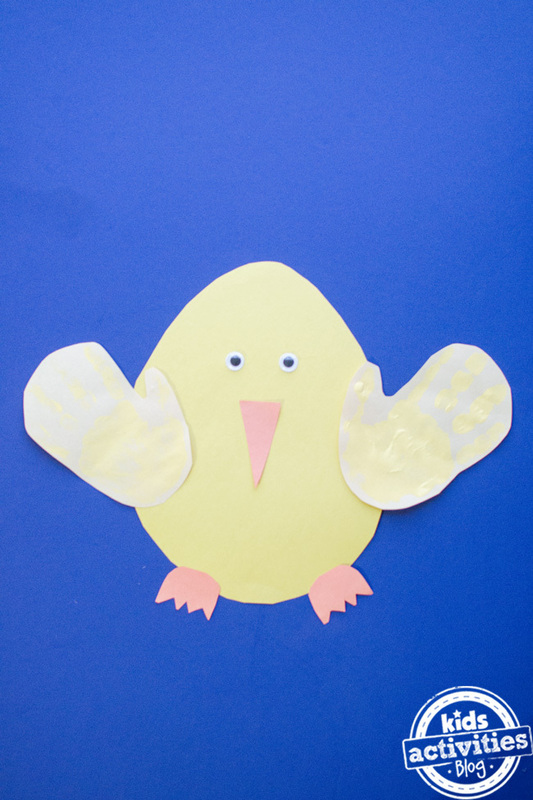 Your little one will love displaying their own handmade chick with its bright and sunny colors. 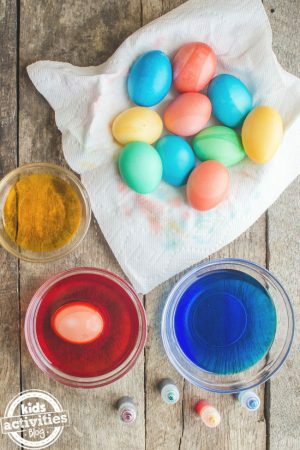 Our Easter Bunny Ears Craft for Kids is also another simple and easy spring craft you’ll want to bookmark right now to make later. 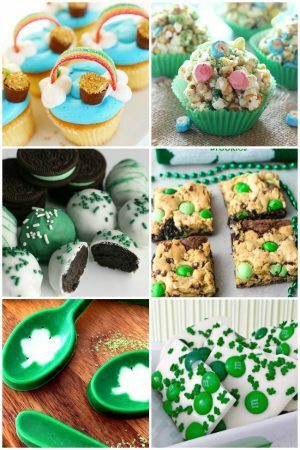 We love crafts that are easy to make and beautiful to display! The first thing you’ll want to do is make the handprints so they will be dry when you’re ready to make the wings in a later step. 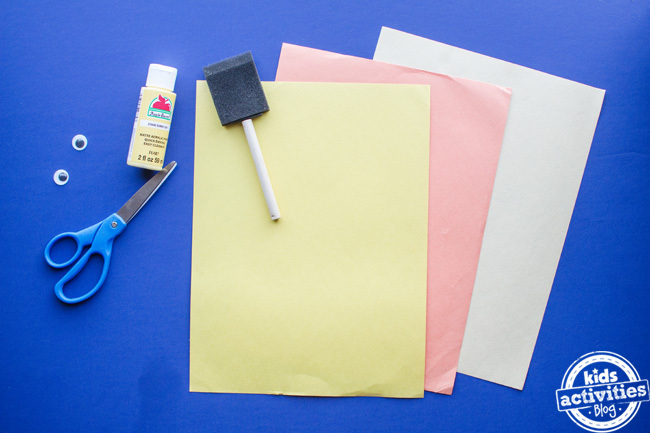 All you need to do is put a small, but even, amount of yellow craft paint onto one of your kid’s hands and then quickly press that hand onto a piece of manila or white paper. 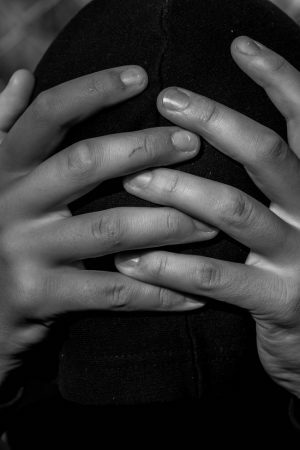 Then take their other hand and repeat. 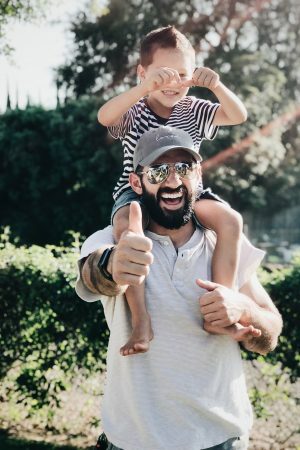 I found that using a sponge brush helped make the paint go on easier, but you can do whatever feels more comfortable for you with your little one. 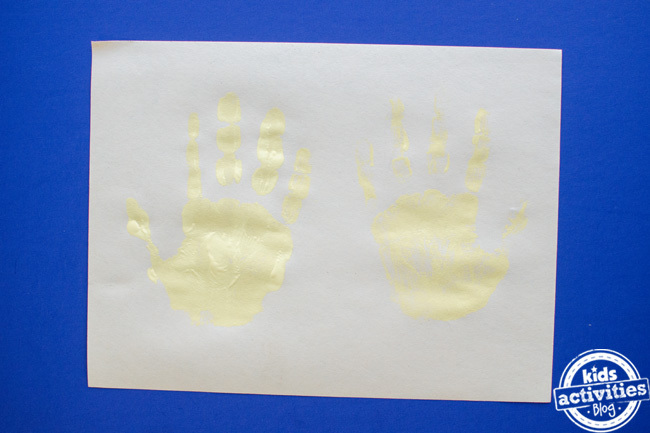 Wash your kid’s hands well after stamping them and set the handprints aside to dry. 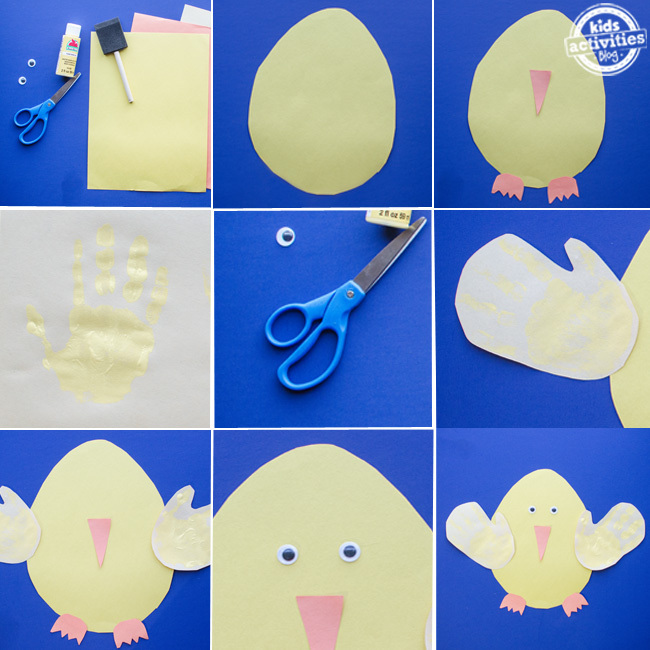 Now take the yellow construction paper and lightly draw about a 10 inch egg shape onto it. 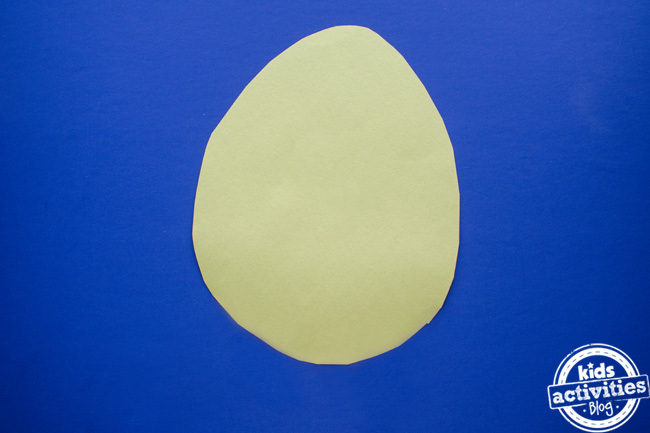 Cut out the egg shape. 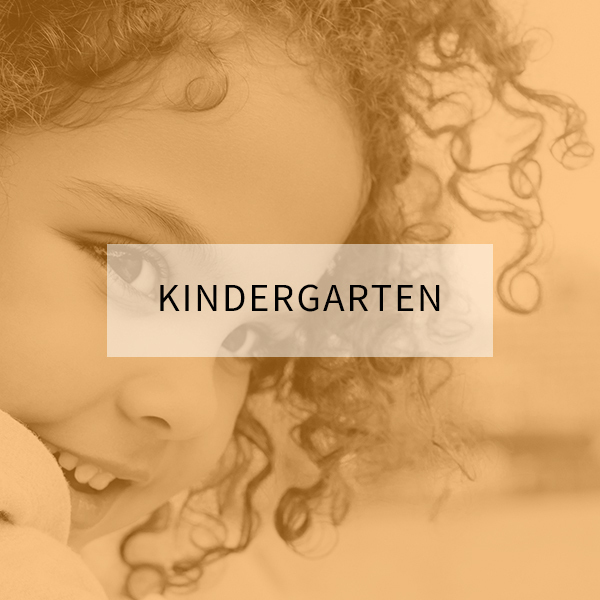 This is a great time to reinforce cutting skills with your preschooler. 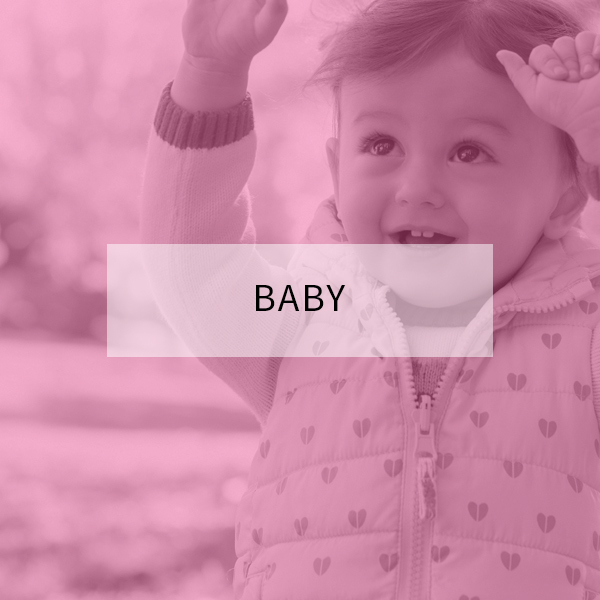 Using scissors also helps kids develop fine motor skills. 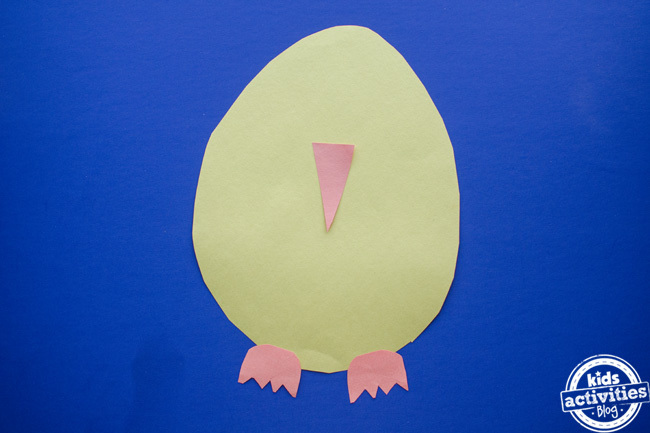 Next cut out a triangle for the beak and simple foot shapes using the orange construction paper. 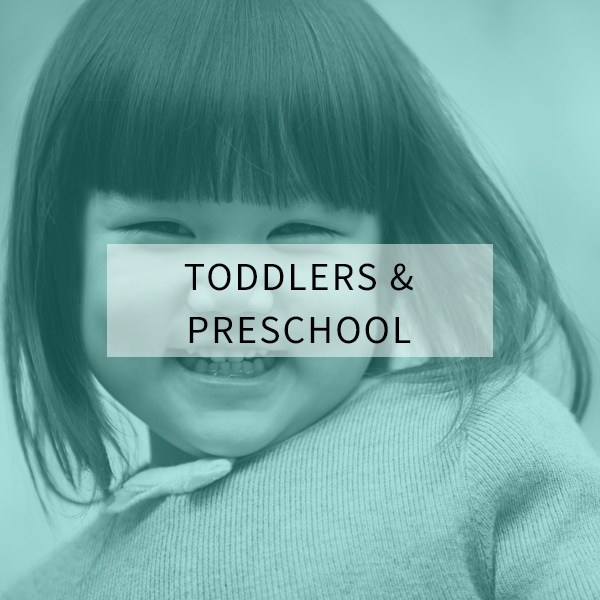 You will probably have to make the feet, but a preschooler should be able to make the triangle. Glue onto the egg. Cut out the handprints, leaving a little space all around. Glue onto the sides of the egg. Finally, glue the googly eyes onto the egg, in the area right above where you glued the beak. 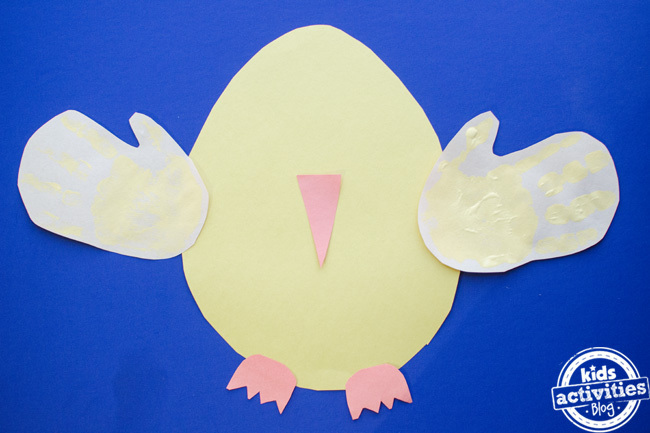 Allow glue to dry and your spring Preschool Easter Chick Craft is ready to hang up for everyone to admire! 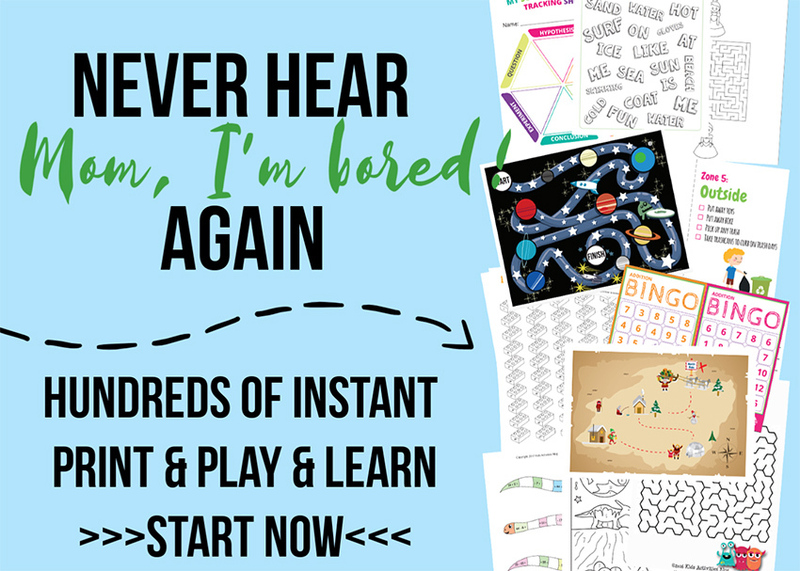 What spring kids activities are you doing this year? 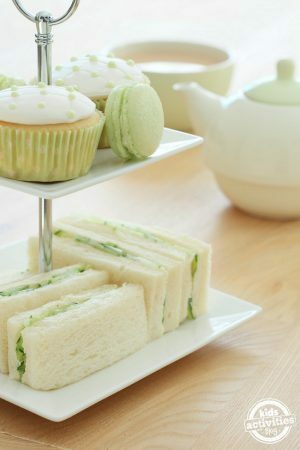 Share with us on our Facebook page and don’t forget to LIKE us their also! Previous Post: « 16-Piece Space Saving Bags for $20! Aww, cute! Hand and footprint art is so fun to do and I love doing it with my son. He’s only 7 months old, but we’ve done a lot of prints for all the holidays! aww,so cute! I just love it. Thanks for sharing at Kids Co-op. This is just so sweet! 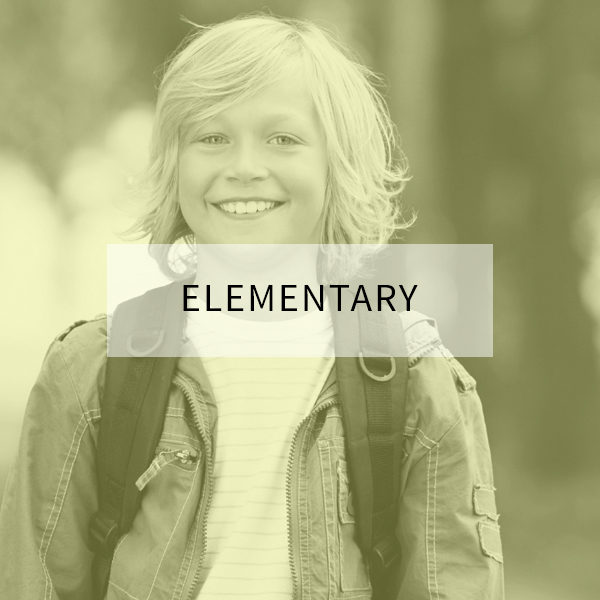 Thanks for sharing at the weekly kids co-op!